If you work in the staffing and recruiting industry, you know how competitive the culture can be. Fierce. In Spark Hire’s new video “Recruit Like Dave,” we illustrate how Spark Hire’s video interviewing platform can help staffing and recruiting professionals beat the competition to achieve greatness. 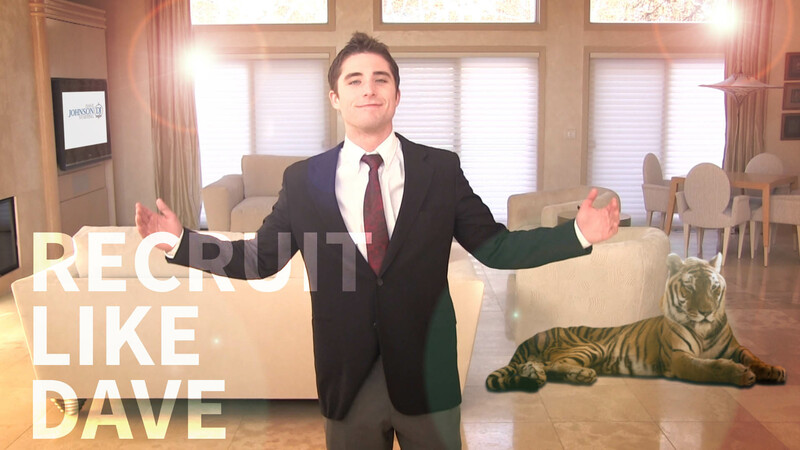 “Recruit Like Dave” is a character-driven David and Goliath comedy about a high-powered boss, his know-it-all assistant, and a neglected recruiter, Dave Johnson. Soon after he was let go for being just a tad late to work one day, Dave rises above the competition and starts his own staffing firm by utilizing Spark Hire’s video interviewing solutions. With Spark Hire, Dave is able to better market his candidates to his clients and ends up raking in the dough, living it up while his boss, Mr. Wright, is proved to be wrong for firing Dave in the first place. Even if you don’t work in the staffing and recruiting industry, take a couple minutes to watch the video and let us know what you think!